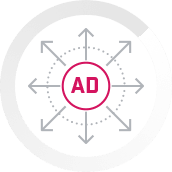 Converge-Digital’s purpose build holistic auction no longer separates the adserver and SSP, allowing competition between programmatic and traditional campaigns. Optimise your yield and trade with buyers in a way that works for both parties with full end-to-end transparency. Work with the team at Converge-Digital to grow revenue, introduce new formats and connect with new demand partners. Serve direct sold campaigns across the full collection of Converge formats. Trade and deliver fixed price campaigns. Access unique demand from local and international programmatic traders. Create your own suite of Deal IDs. Full visibility on bids, trades and much more. Use the Converge-Digital platform to centralise your media trading activity. Connect trading and investment teams to your marketplace and holistically deliver media budgets. License the Converge-Digital platform and deliver a custom programmatic solution tailored to your business requirements. Centralise your inventory and allow competition between traditional and programmatic buyers through the Converge-Digital Unified Auction. Monetise, display, video, mobile, native and rich media ad inventory via a trading method that works for you and your buyers. We provide full transparency on trades, fees and technology. See, learn and grow with Converge-Digital. Converge-Digital provide full control to the plaform end user. Set up the Converge auction based on your business rules. You decide who competes with what, when and where. Unify your demand and drive real revenue growth with Converge-Digital. Work with the team at Converge-Digital to introduce new formats and monetisation opportunities to your digital properties. Avail of Converge-Digital’s contextual technology to package your inventory. Build Private Markets which are as broad or as niche as your buyers desire. Utilise Converge-Digital’s 1st party data activation to deliver data led PMPs to buyers. 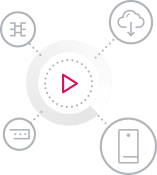 Our private DMP functionality ensures no data leakage in or out in a fully GDPR compliant manner. Work with the account management and operations teams at Converge-Digital to ensure every impression is maximised and deliver CPM and yield growth.